The majority of drivers think they can get away with common motoring offences due to the decreasing number of police traffic officers on UK roads. That's according to a new poll by the AA which shows that 65 per cent of drivers think a lower police presence means it's unlikely they will be caught for things such as tailgating and hogging the middle lane. Meanwhile more than 60 per cent of drivers are confident they will escape punishment for careless driving, while roughly half think they will get away with driving a vehicle in a dangerous or defective condition. Some 54 per cent believe it's unlikely they will get caught using a mobile phone at the wheel. Worryingly, four of every 10 drivers think they would escape punishment for driving without insurance while 36 per cent believe they could get away with drink driving. The survey also asked drivers about traffic police visibility in their area. Two thirds feel there is no presence on local roads, while just under half say there is no visibility of traffic cops on motorways. Drivers were also asked about alternative ways to police the roads. Almost three quarters say that cameras alone are not sufficient, while nearly half think Highways England traffic officers should be given more powers to assist traffic police to enforce the rules of the road. The number of traffic officers in the UK fell to just 2643 last year, down from 3766 in 2007. 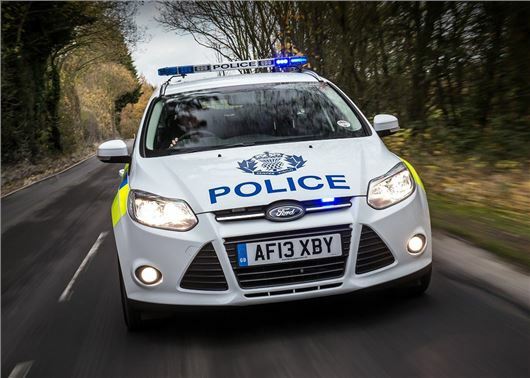 "It is worrying that drivers feel that a lack of police officers on the roads, means they think they can get away with careless driving and other serious motoring offences," said Edmund King, president of the AA. "What is clear is that camera enforcement is seen as an actual deterrent, but Big Brother can only do so much. We need more cops in cars." "The majority of drivers think they can get away with common motoring offences"
They don't think they will they know they will, outside of the lack of traffic police the bobby on the beat was also a deterrent to traffic offences in days long gone by and also to pull over faulty vehicles etc, just one small area that is a good example is the amount of motorcyclists, and I was a motorcyclist so no bias, who use secondary exhausts and get away with it, some are frankly ridiculous in the noise created but they are never pulled for it as they would have been before. How many road checks do you see today for vehicle faults, almost none and that can only be a bad thing as drivers simply fail to replace worn tyres etc again knowing the chances of being stopped are near nil. I agree with the sentiment, we live in North Devon and it's like the Wild West down here. You can walk along roads in the village we live and see the bald tyres gleaming back at you and 'Car Tax', What's that?! Punters down here buy 'sheds' as they call them, trade-ins and the like with little or no MOT and just chance their arm until the vehicle literally falls apart and then they abandon them. Wonderful eh?